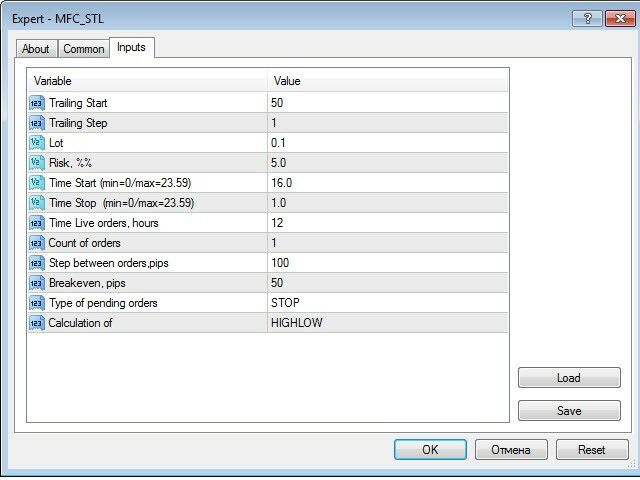 MFC STL Expert Advisor analyzes the market for a specified period and sets pending orders. The system does not use indicators and is fully based on the price action analysis. 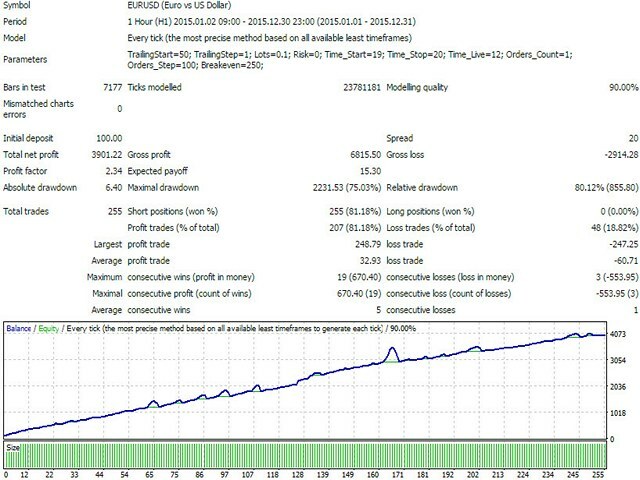 No martingale, no hedging. No complex setting and optimization. The EA is not impacted by news. The EA features the management system of negative and positive positions, which allows not using stop loss and take profit. Calculation of - market analysis using CLOSE or HIGHLOW. The EA is suitable both for five- and four-digit quotes. The current settings are meant for five-digit EURUSD H1 quotes. 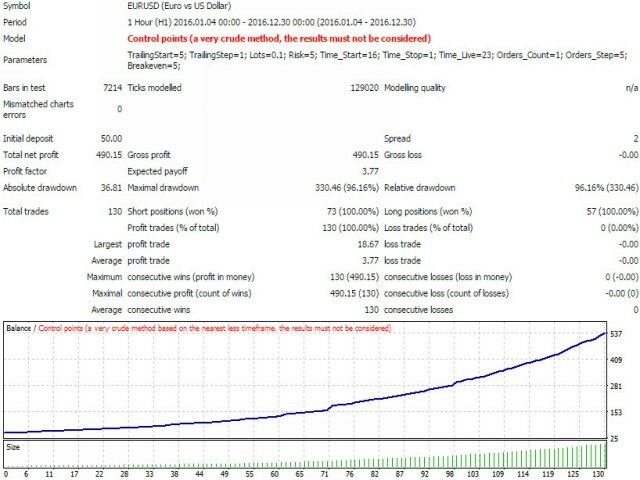 To trade a fixed lot, optimize the EA every month. Optimization of the Time Start, Time Stop and Calculation of parameters is usually enough. Follow the money management. The maximum acceptable risk for all currency pairs should not exceed 10% of the deposit.